An eminent brain doctor who was unfairly sacked from Addenbrooke’s after raising serious concerns about patient safety and care at the hospital is to be honoured with a Lifetime Achievement Award. Professor Narinder Kapur, took Cambridge University Hospitals to an employment tribunal in March 2012 after claiming unfair dismissal in 2010. 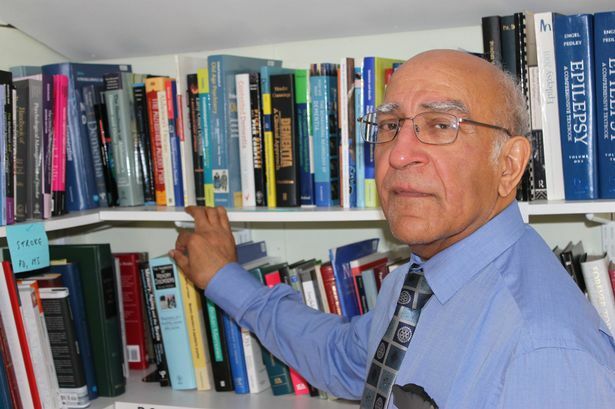 As previously reported, the tribunal heard Prof Kapur was fired as a consultant neuropsychologist at Addenbrooke’s without “a single explanation” after repeatedly raising concerns with bosses that under-qualified staff were left unsupervised to treat patients. He also claimed that after raising concerns about the dangers to patients of using unqualified staff with inadequate supervision and staff shortages generally, he suffered significant detriments including having his work computer hacked into, and the relationship with his line manager seriously broke down. Hospital bosses claimed he was dismissed because of the breakdown in relations with his line manager and that Prof Kapur was aggressive and refused to attend meetings without a lawyer present, which he had asked the hospital to pay for. 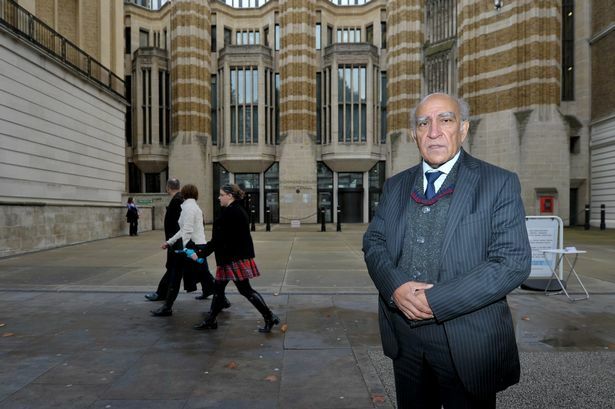 Despite the tribunal ruling he had been unfairly dismissed in July 2012, the award-winning doctor was not reinstated. Since then, the 67-year-old has gone on to campaign for reform of the NHS disciplinary system and now has been recognised by his professional body, the British Psychological Society (BPS) with a lifetime achievement award. Prof Kapur, who lives in Harrow and is Visiting Professor of Neuropsychology at UCL and is also Consultant Neuropsychologist at Imperial College NHS Trust, is repeating his call for the Department of Health to carry out a major review of NHS disciplinary procedures which he believes to be “deeply and dangerously flawed”. “I would like to dedicate this award to all sacked NHS whistleblowers, who have had the courage to stand up and speak out – and particularly those of Black and Minority Ethnic origin who sadly face worse victimisation in the workplace when they raise concerns than their white counterparts, due to factors such as conscious or unconscious bias,” he said. 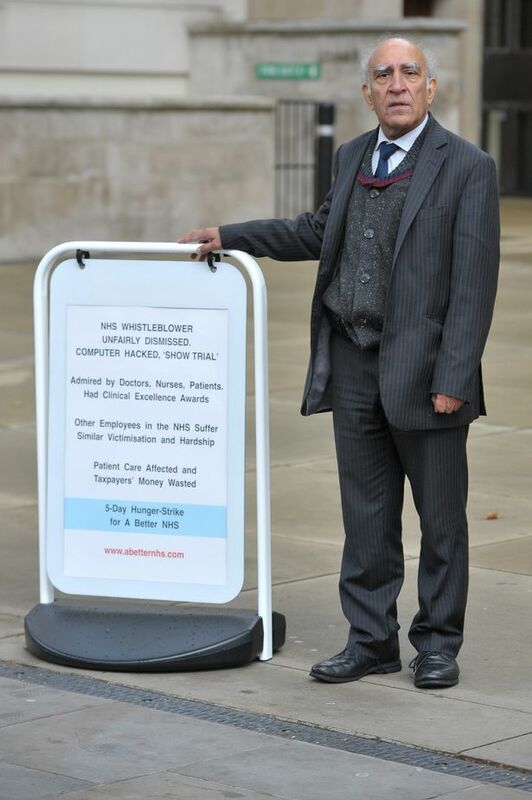 In October 2012, Prof Kapur staged a five-day hunger-strike outside the Department of Health in Westminster to protest against the unfair treatment of NHS whistleblower. And in March last year, Prof Kapur carried a coffin to the Department of Health to demonstrate against the treatment of award-winning NHS nurse Amin Abdullah, who died by setting himself alight outside Kensington Palace in February 2016 because he found the NHS disciplinary process too much to bear. In a statement ,the British Psychological Society praised Dr Kapur’s academic work on the psychology of patient safety, NHS management, unconscious bias and clinical excellence. More staff should stand up for what is right, they can’t sack them all, can they? At the outset of every employees case their hospitals willl NOT have followed policy and procedures this conduct and behaviour (which goes totally unnoticed) has the most severe consequence to the employee. If as members of the public we are wronged or see/hear wrong doing and raise our concerns e.g. Complaining about a dodgy car purchased which could danger the owner and others … would be just and equitable for the garage to say ‘there has been a breakdown in relations’ between them and the car owner? aka ‘ it’s all your fault’ … We often hear the employee showed ‘no remorse or act of contrition, breakdown in trust & confidence and SOSR(this means anything/dirt often irrelevant to findings of fact heard/relevant to the case’ … Why are Judges allowing this course of action to be used against employees esp when the very same Judge has stated the dismissal was unfair? Finally let’s stand together petition to get ALL hospitals to follow their policies & procedures, ACAS code of practice and our civil/ human rights. If they don’t they must be held accountable.